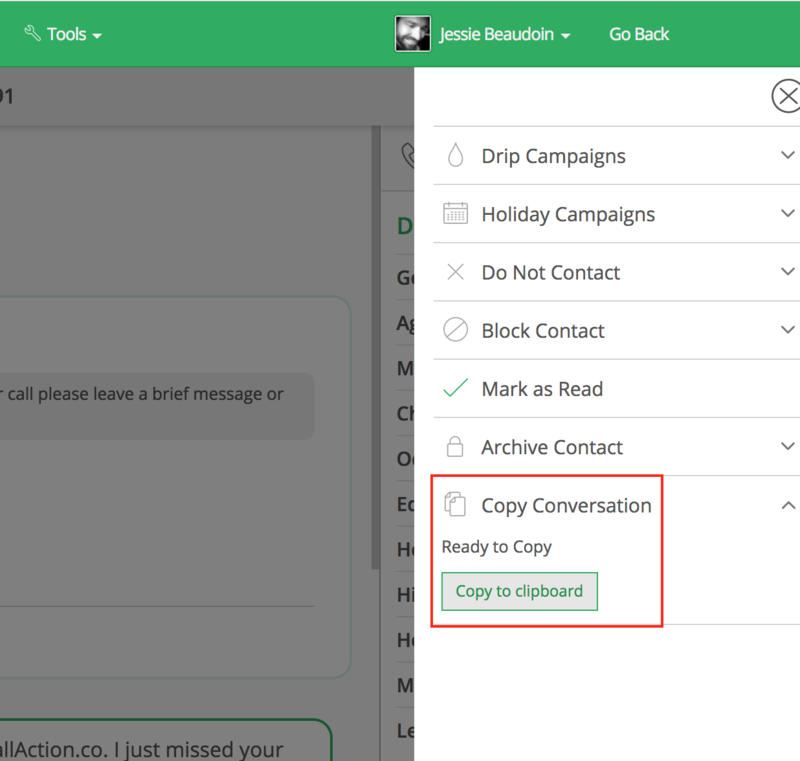 Ever wish you could copy all of your CallAction conversation history to share with others or to simply paste into your favorite CRM? Some use cases for copying conversations. We make it easy for you to copy your transcribed conversations and every detail with you had with your contacts within the CallAction platform. You can do this from two locations within the CallAction platform. Done, the entire conversation history is now copied. 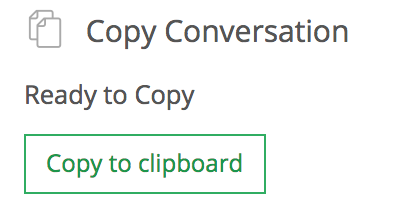 You can also copy to clipboard from your Contacts view with the following instructions. If you are not currently a CallAction user you may try our platform free for 14-days. You can use our system to generate free leads from Craigslist or by helping for sale by owners. Our powerful text and voicemail drip campaigns allow you to automate your entire lead follow-up process.